In the last Desymfony conference I was speaking with Luis Cordova and he introduced me “Stack” (I must admit Stack was in my to-study-list but only marked as favorite). The idea behind Stack is really cool. (In fact every project where Igor Wiedler appears is brilliant, even the chicken one :)). Nowadays almost every modern framework/applications implements HttpKernelInterface (Symfony, Laravel, Drupal, Silex, Yolo and even the framework that I’m working in ;)) and we can build complex applications mixing different components and decorate our applications with an elegant syntax. Imagine that we’re working with one application with a blog and one API. In this case our blog and our API are Silex applications (but they can be one Symfony application and one Silex application for example). We can organize our application using mounted controllers or even using RouteCollections but today we’re going to use Stack and it’s cool url-map. And that’s all. I don’t know what you think but with Stack one big window just opened in my mind. Cool, isn’t it? Keeping on with the series about Symfony’s Services container (another posts here and here), now we will use the service container to use Twitter API from a service. Last days I’ve playing with Behat. Behat is a behavior driven development (BDD) framework based on Ruby’s Cucumber. Basically with Behat we defenie features within one feature file. I’m not going to crate a Behat tutorial (you can read more about Behat here). Behat use Gherkin to write the features files. When I was playing with Behat I had one idea. The idea is simple: Can we use Gherking to build a Silex application?. It was a good excuse to study Gherking, indeed ;). And request method is "GET"
And request method is "POST"
The idea is simple. Parse the feature file with behat/gherkin component and create a silex application. And here comes the “magic”. This is a simple working prototype, just an experiment for a rainy sunday. You can see the source code in github. What do you think? Today another crazy idea. Do you know Symfony Process Component? The Process Component is a simple component that executes commands in sub-processes. I like to use it when I need to execute commands in the operating system. The documentation is pretty straightforward. Normally when I want to collect the output of the script (imagine we run those scripts within a crontab) I save the output in a log file and I can check it even in real time with tail -f command. 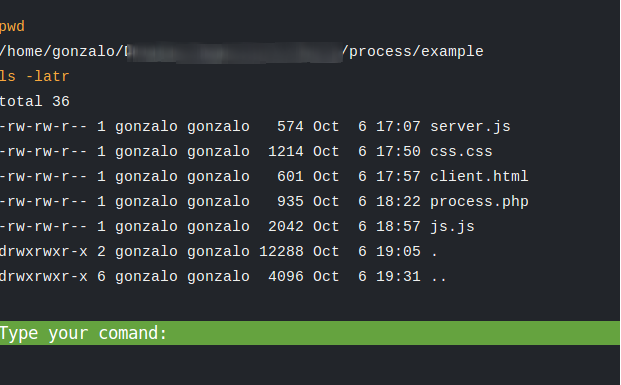 Now if we start one browser we will see the output of our command line process within the console tab of the browser. If you want something like webConsole, I also have created the example, With a Web UI enabling to send custom commands. You can see it in github. Obviously that’s only one experiment with a lot of security issues that we need to take into account if we want to use it in production. What do you think? Why this script? OK. It was a crazy idea. It started with one “Is it possible? Yes, let’s code it” in my mind. Let start. I want to scroll one web page in the TV’s web browser (or PC’s browser) using my smartphone lying on my couch. I’ve got a wireless mouse so I don’t really need it, but scroll the TV browser with the smartphone sounds cool, isn’t it? One QR code in our web page (added dinamically with JavaScrip with Google’s Chart API ). 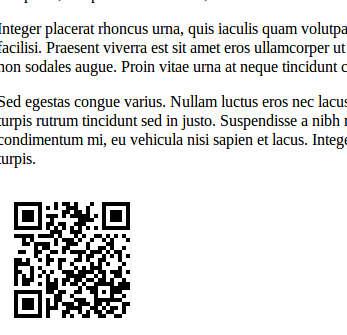 Write urls with the smartphone is hard and QR has a good hype, so we will add a QR code at the bottom of the web page with the link to the node.js server. The server will register the WebSocket and send the real time commands to the browser (with one easy-to-hack security token). 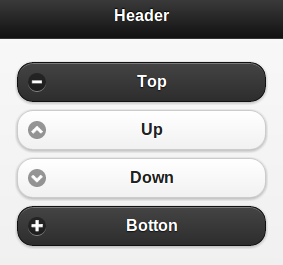 The browser will handle the socket.io actions and controls the scroll of the web page. We can also add more features to our application but that’s enought for this experiment. What do you think?